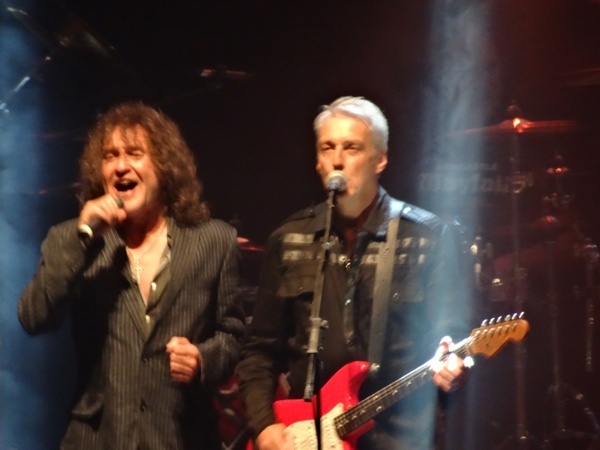 I first witnessed the pairing of these two British AOR legends in Warrington a couple of years ago, so I was delighted when I found out they were teaming up for a full UK tour. Due to a pre-booked holiday in June, I knew I would not be able to make the Manchester date, therefore, I decided to make the journey further up North, to Newcastle, a city neither my wife nor I had the pleasure of previously visiting. An added bonus was the inclusion of Toby Jepson to perform an acoustic solo spot. He played a mixture of greatest hits from his career to date, ranging from Little Angels to his current band Wayward Sons, plus Fastway's 'Deliver Me', which he dedicated to the late, great "Fast" Eddie Clarke. Having only recently seen Jepson fronting Wayward Sons in Sheffield, I have to admit that I far preferred the full electric versions. 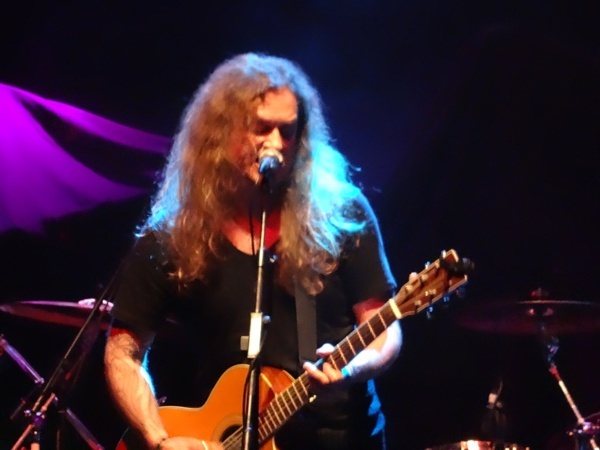 Jepson is an accomplished guitarist and exceptional vocalist and he engaged those in attendance. A misprint on the tickets stated there was a 10.00pm curfew, which meant that quite a crowd formed at the O2 early doors. Unfortunately, the venue was only about a third full; the upstairs was closed and there was only limited viewing from the rear of the downstairs with a black curtain having been draped from the ceiling behind the mixing desk. This was a real shame because many fans of this genre could certainly have done with sitting down and they found it difficult to be on their feet for three to four hours. Dare arrived on the stage to a hero's reception and opened with the usual 'Sea Of Roses'. The sound was very good and, most importantly, so was the mix. They then played a selection of songs from their latest album, 2016's 'Sacred Ground', not that there were any complaints, such was the quality of these tracks. A cover of the Thin Lizzy classic 'Emerald' fitted perfectly with the Dare sound and, in particular, their Hard Rock sophomore release 'Blood From Stone'. The last few years have seen Dare regain their vigour and enthusiasm, which they had when they first hit the circuit back in the late eighties. The re-introduction of guitarist Vinny Burns has no doubt been the catalyst to this new-found energy. 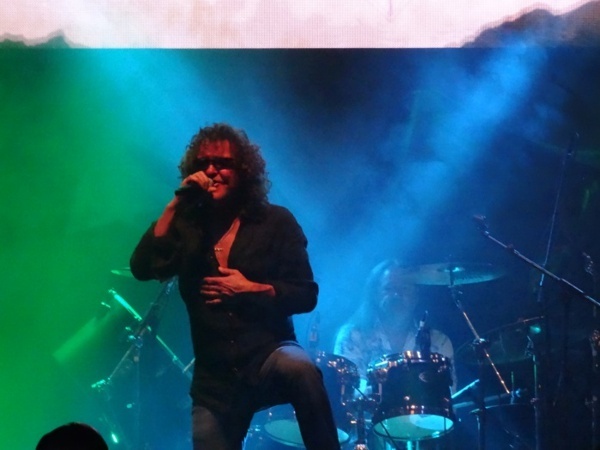 It was great to see Darren Wharton with a broad smile on his face, even during the rockers 'Wings Of Fire' and 'We Don't Need A Reason', during which he encouraged the crowd to help as he struggles with the high notes these days (not that I noticed if I am honest). 'Out Of The Silence' is celebrating its thirtieth anniversary this year and it still sounded as vibrant today as it did on its release back in 1988. The usual five songs were played which meant there was still no inclusion for my all-time favourite Dare song 'Don't Let Go'; that is the only minor criticism of an otherwise near-perfect performance. 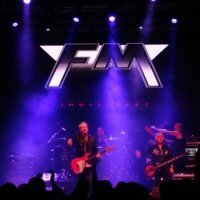 FM certainly look after their fans, both in terms of live performances (including their choice of support bands) and new material. Almost two-thirds of tonight's set concentrated on FM's first two exceptional albums – 1986's 'Indiscreet' and 1989's 'Tough It Out' – with seven songs getting an airing from the latter sophomore release. Surprisingly, only the set opener 'Black Magic' and the exquisite 'Killed By Love' were played from the latest, brilliant album 'Atomic Generation'. That is the problem when you have so much great material in your arsenal. 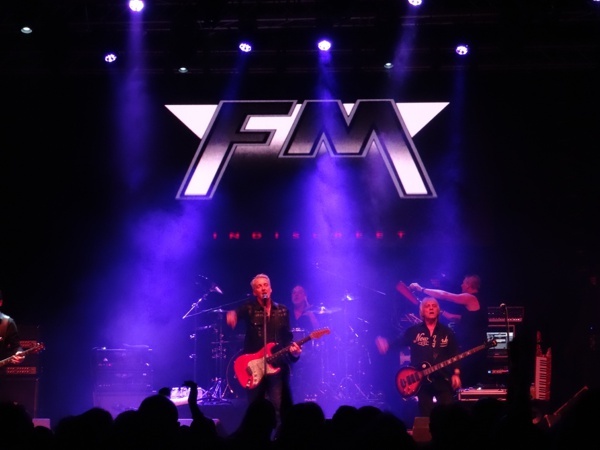 The main set was brought to a rocking conclusion with the FM classics 'Bad Luck', 'Tough It Out', 'That Girl' and 'Other Side Of Midnight'. After nearly ninety minutes, Steve 'The Voice' Overland still managed to give a jaw-dropping rendition of 'The Story Of My Life' that not even a minor sound issue could ruin. 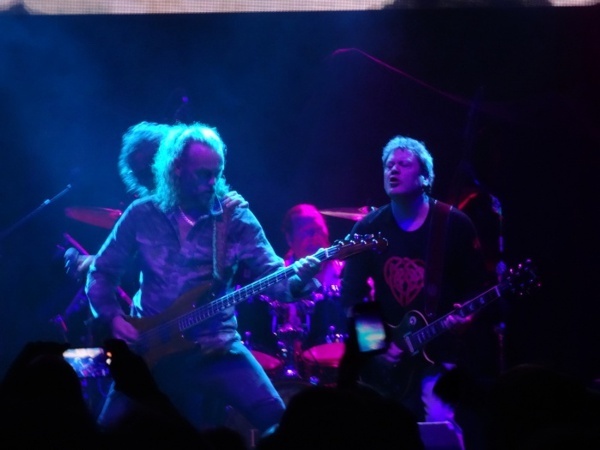 The band then returned, with guest vocalist Darren Wharton, to play the Thin Lizzy classic 'The Boys Are Back In Town'.